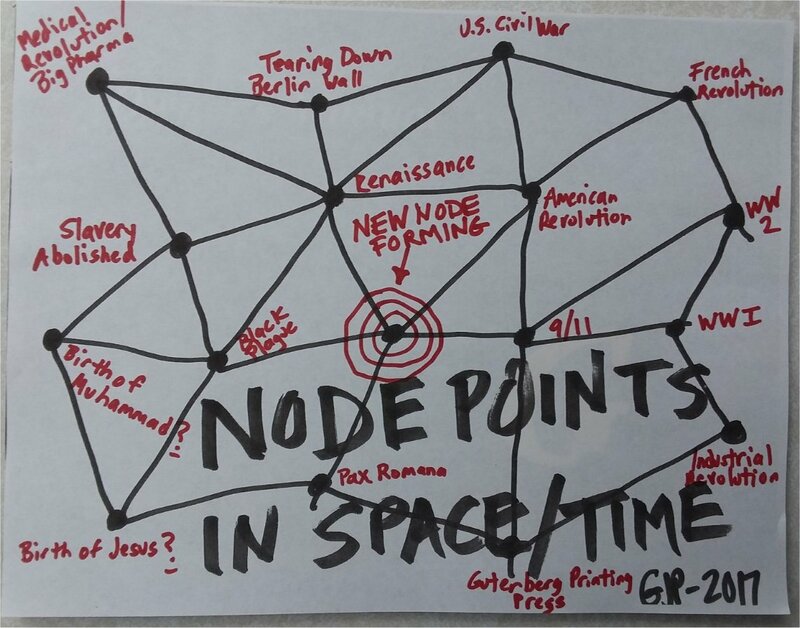 The malevolent factions create most of these nodes, such as every world war and the events of September 11th, 2001. Manty times, these nodes are created on specific days and dates as each date has a numerical value and every day has a specific meaning. 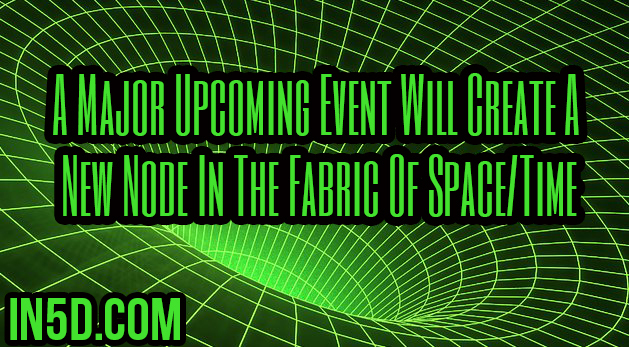 A new node is forming and it’s centered around the 10,000+ sealed indictments that will literally change the course of history. The names of the people who will be revealed in these indictments will shock most of the world’s population, as they’ve all had a hand in the demise of our planet in the name of greed, dishonesty, deception, and corruption. Politicians, to movie stars, musicians, sports owners, clergy, and anyone who is in a position of power will be exposed for their crimes against humanity. 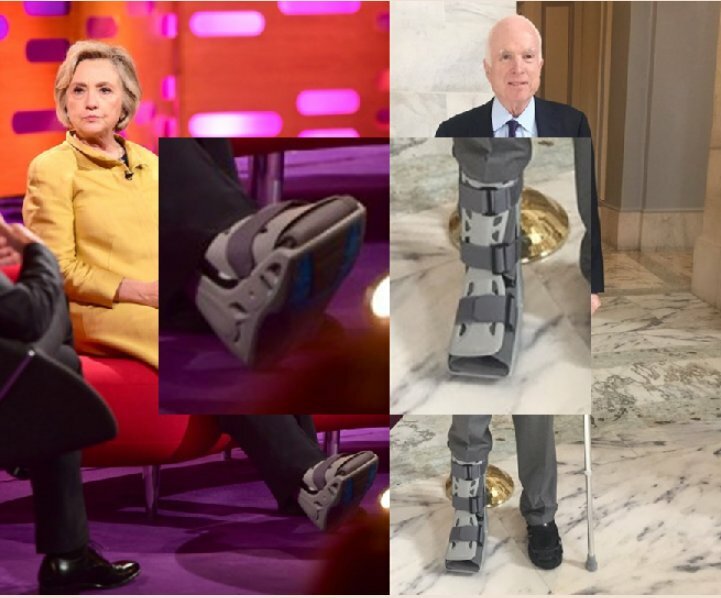 We may already be seeing prominent people in house arrest situations. For example, it was announced on July 19, 2017 that Sen. John McCain allegedly had a brain tumor associated with a blood clot that was removed the previous week. Subsequently in mid October of 2017, he suffered a tear in his Achilles tendon that forced him to wear a walking boot on his right leg. McCain has been receiving treatment for brain cancer after announcing in July that he had been diagnosed with glioblastoma, an aggressive form of the disease. The tendon tear is considered a “normal” side effect of his cancer therapy. 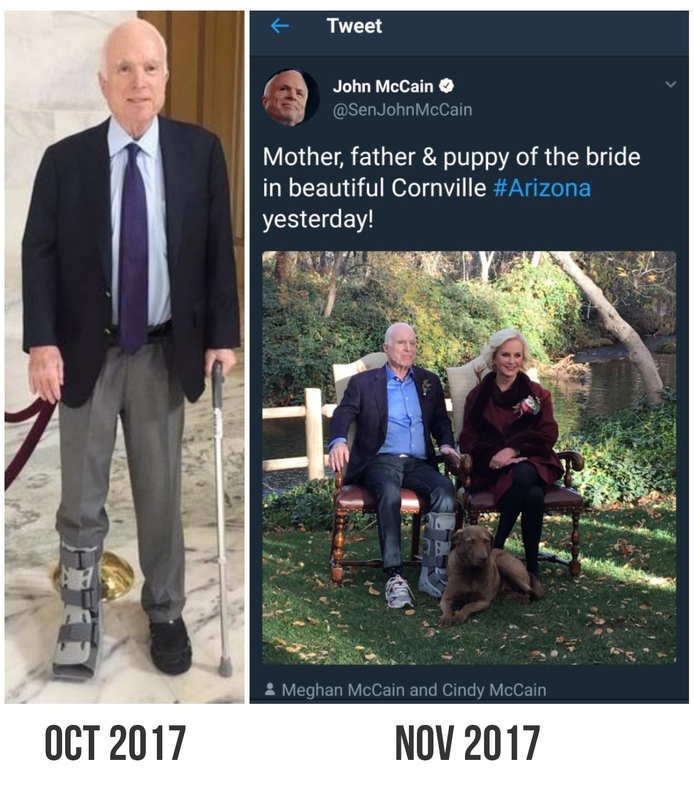 In mid November 2017, photos surfaced of McCain wearing the walking boot on his opposite leg. It is highly suspected that there is a GPS ankle monitoring system in his walking boot and that he’s basically on house arrest. It is believed that Q Anon could be Government Whistleblower Thomas Drake, but that is speculation right now. It’s all starting to crumble for the ruling elite! Stock markets will crash. Pandemonium may ensue, but the truth shall rise. Pluto is known as the “destroyer” and will bring down everything that is not in humanity’s best interests. Pluto stays in Capricorn until the year 2023. The last time Pluto was in Capricorn was during both the French and American Revolutions in the 1700’s. As I predicted, we will see a collapse of money, government, and religion by 2023. It looks like that will happen much sooner. Most importantly, a new node will be created and behind it is the energy of TRUTH, which falls under the frequency of LOVE. This will lay the foundation for the New Earth in which there is no need for money, government, or religion.